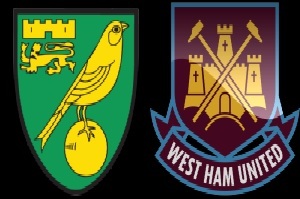 Norwich will play against West Ham United on Saturday in the Premier League. Norwich have played some awful games recently. They have lost six in a raw, conceding more than 3 goals on average. A 2-0 loss against Aston Villa ( bottom of the table ) says it all. West Ham are currently 6th with 39 points. They have lost their last game in the league against Southampton, but the possession of the ball was in their favor. After that they defeated Liverpool in the FA Cup. I just don't see West Ham as underdog in this game. With Carroll back I see a great value in this bet.